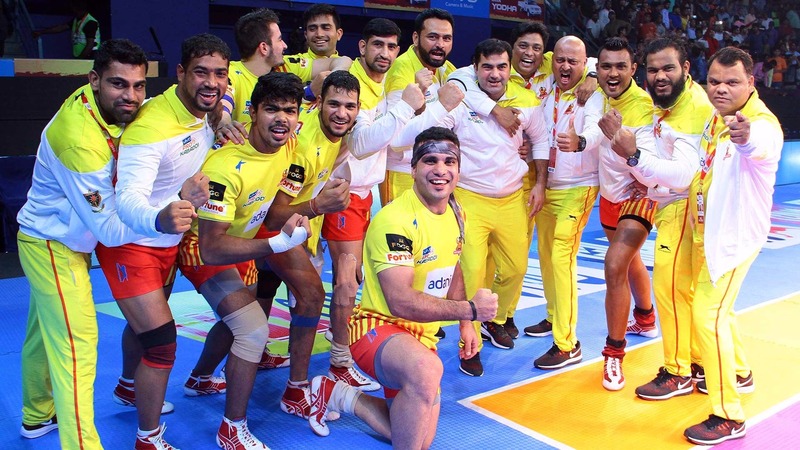 Gujarat Fortunegiants coach Manpreet Singh lauded his team for playing as a cohesive unit and making up for the lack of star players in their line-up after their strong run in VIVO Pro Kabaddi Season 5 continued on Tuesday at Lucknow’s Babu Banarsi Das Indoor Stadium. Gujarat bagged their seventh win in 10 matches on Tuesday after they convincingly beat Puneri Paltan 35-21 thanks to captain Sukesh Hegde's five points and Fazel Atrachali's season-best nine tackle points. "Each player has his own skill," said Singh at the post-match press conference, "A raider will do well in raiding and a defender in defence. It's not like a defender will raid as well. But there are all-rounders too. But all the 19 players in my team are like that. I don't have a big star. They are all alike. They are all good in their respective fields. That works for the team." With the win against the Paltan, Gujarat, who play their next match against U Mumba on August 29, extended their unbeaten streak to seven matches that includes six wins and one tie. "We were trying harder [to raid] so we were getting caught. We made a few mistakes and that's why we lost. Whichever team makes the least number of mistakes, wins. We didn't make full use of the opportunities to catch the opposition out," he added.